KARACHI: Sindh High Court has made it mandatory for private schools that increased tuition fees by more than 5 percent to return the extra-charged amount, according to the education department. “Registration will be cancelled of those schools that will not return extra money to the parents/guardians of students,” stated the education department quoting an order from SHC. “An increase of more than 5% in the tuition fee charged by schools is illegal,” the bench ruled. During the hearing of the case, the lawyer representing students’ parents said that the salaries paid to teachers do not even make up 50%t of the school expenditure. School earnings should be considered along with their expenditure, the counsel said. Meanwhile, the additional advocate general argued that an increase in school fee has to do with basic rights. The power to increase school fee should lie with the provincial government, he added. Parents Action Committee, which included more than 100 people, had gone to the court against four private schools namely, The City School, Foundation Public School, Head Start School and Beaconhouse School. The representatives of schools argued that the hike was in accordance to the law. They maintained that fee was increased to meet the expenses of schools and well as to meet the salaries of the faculty members. 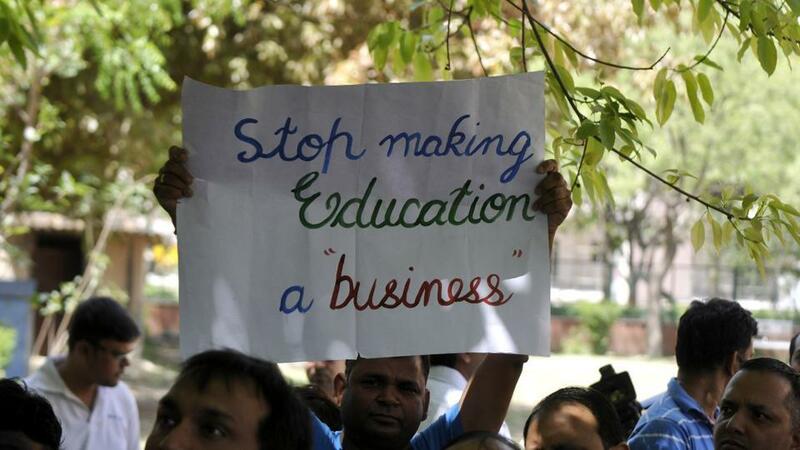 Earlier, while protesting the fee hike through a press conference, Parents Action Committee Chairman Kashif Sabirani had warned that irked parents would hold demonstrations outside the schools charging exorbitant fee. He said the action committee had also gathered a number of lawyers to form a legal aid committee, which was to compile lists of the schools that had “arbitrarily increased” tuition fees.